The best protection for your amp!!! 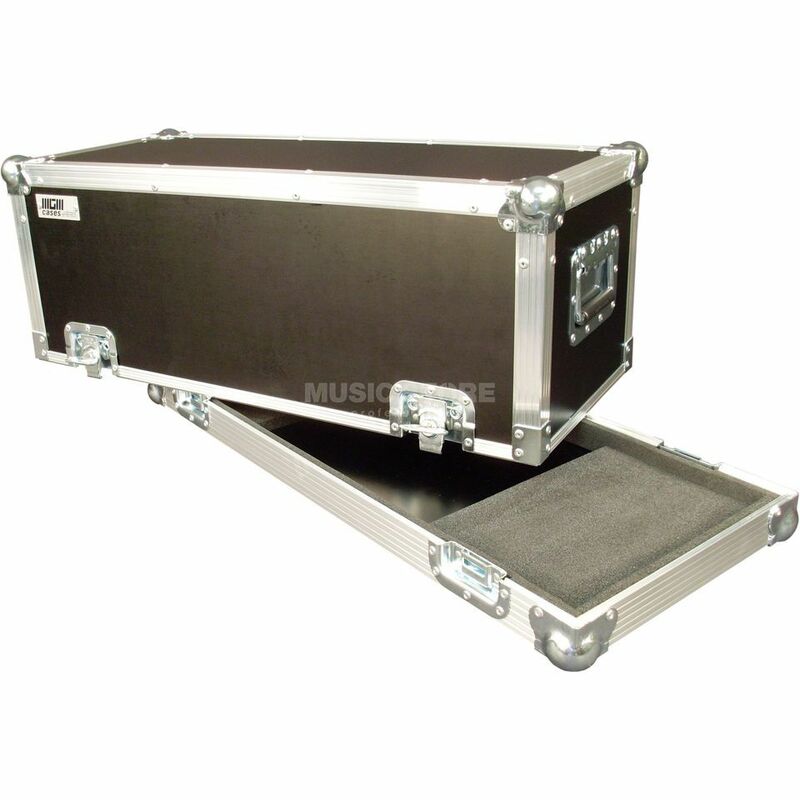 These tailor fitted cases from the MGM house are built to withstand the stress and strain of transporting, “on the road” and on the stage. A flat bottom and a high top (hood), closed with butterfly locks, ensuring optimum handling. The case is surrounded with an aluminum profile and the edges sealed with aluminum angle-profiles. Two spring loaded built-in hinged handles ensure a high level of carrying comfort. The interior is lined with 15mm foam for optimum protection. For over 25 years MGM Cases have stood for Quality and Reliability. The innovations of NGN Cases are established in the market and are used by other manufacturers in their own cases. MGM Cases believe to be a service orientated provider, one that sets its strengths with high standards of flexibility. With the support of CAD and sate-of-the-art software is MGM Cases is able to create the most complicated designs with great efficiency.